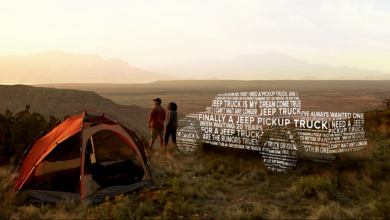 We just caught our most detailed look yet underneath the bed of the upcoming 2019 Jeep Scrambler (JT) pickup truck while the prototype was leaving a Detroit gas station! 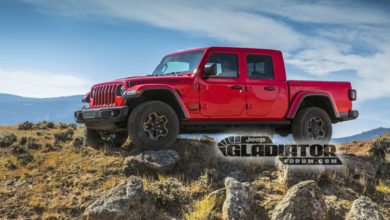 The DEF tank gives this away as the 3.0L Diesel model and we’re pleased to report this truck mixes a bit of Wrangler and Ram 1500 DNA to make it a true and proper pick up truck. 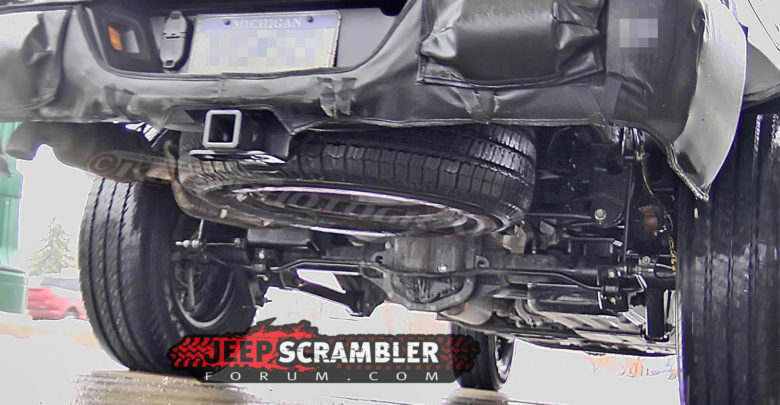 The rear suspension of this JT prototype shows design and component placement that looks nearly identical to the Ram 1500, with healthy control arms along with a panhard rod and a rear stabilizer bar that leads into sway bar end links. 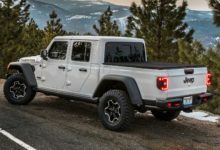 We also see hints of the JT Scrambler’s coil springs and shock absorber placement that also appears to mimic the Ram 1500’s design. 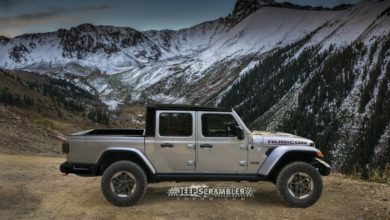 Here’s the full gallery of the 2019 Jeep Scrambler Pickup Truck’s underbody with Ram 1500 inspired suspension.